Downs Side Up: Book Reviews: Milky Moments and Who's Not in School? 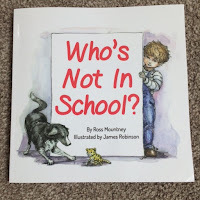 Book Reviews: Milky Moments and Who's Not in School? I am so very proud of a cluster of writing friends who have all published incredible books this year. Having ventured down this path ourselves, I will never underestimate again just how much goes into producing a book. It's exciting, exhausting, expensive, stressful and what I didn't anticipate is just how very vulnerable you feel when the work is launched. You doubt every detail, you nervously wait for a response and I think anyone who dares push themselves that hard for something they believe in deserves our support and praise. "Tim’s not because he’s got the flu. Katy’s not because she has an appointment at the hospital. Little Harry isn’t either, because he learns at home. While he’s learning he has all sorts of adventures … some of which he shouldn’t!" "It's great to have the chance to chat to you a little on Hayley's blog. She and I have been connected for a while now, since she first dipped into home education to help her cater for Natty's particular needs. Hayley isn't the only parent who found that if their child failed to 'fit' the very narrow criteria for 'the norm' in schools their children's needs can be disregarded. Many feel the same, but through individualised home educating approaches a style can be found that suits and parents are able to progress towards learning success, which may not have been the outcome in a classroom setting. Both our children showed signs of Dyslexia, also often overlooked by teachers, but through home educating it was not a problem for them. We were able to use a variety of learning activities including visual, conversational, practical and experiential, to help them learn and progress. They both achieved and graduated to Uni which I don't believe would have been the outcome if left in school. I also think their self-confidence, so important to a happy learner, would have been eroded. It was this message that my work has been about really; that schooling and teaching are not the only successful ways to approach education. Other ways work too. And to show parents how it worked I produced a guide to home education, then secondly the story of our home educating years 'A Funny Kind of Education' to show it working for real. Also to get people thinking and reading about education in general through an entertaining read, where they wouldn't tackle a text book on the subject! And finally, like Hayley, I wanted to produce a picture book for families that wouldn't make them feel so alone in their minority. 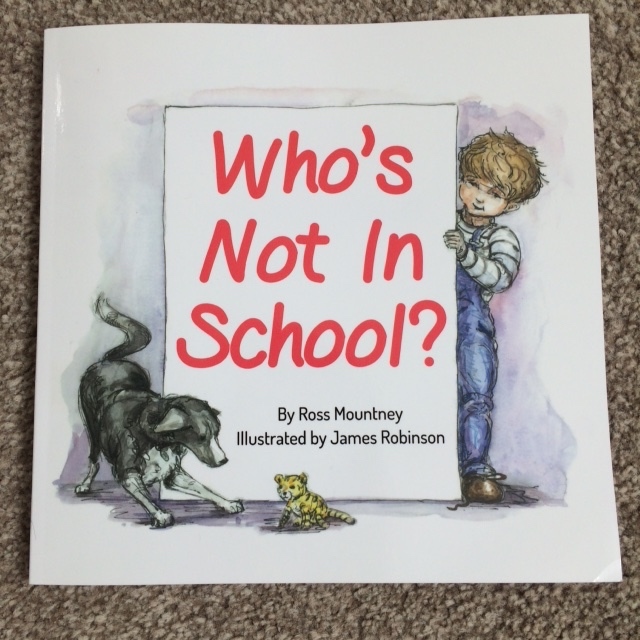 Where children could read about others who don't go to school; 'Who's Not In School?' is the result. She and I are on a similar mission; to raise awareness and bring comfort to those who may feel left out of the mainstream view. 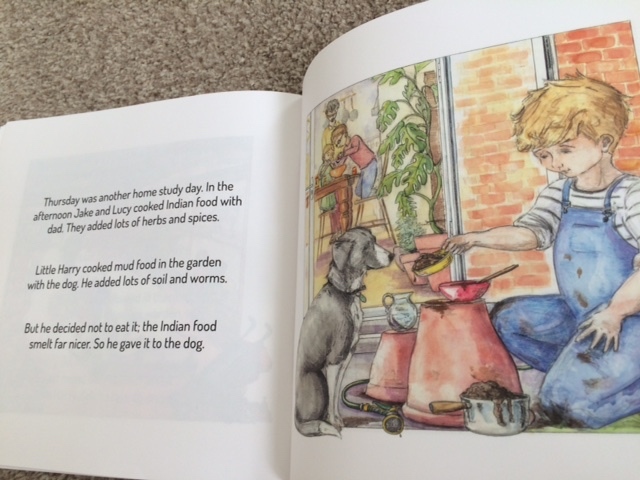 For more information about home education and details of my books visit my site. And if you find something you like, do let me know." The second inspiring author is Ellie Stoneley Gradwell of Mush Brained Ramblings, whose debut book stems from her belief in normalising breastfeeding and supporting all women to feed their babies in the way that they want without pressure from society and the media. Ellie is a truly amazing woman who writes on the subject of being an older mother too. I've had the pleasure of meeting her a few times and she has the most calming, wise aura about her. 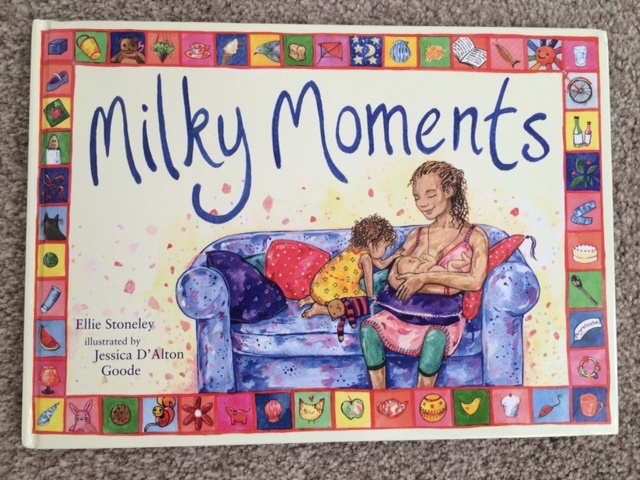 Milky Moments is a beautiful, hard-backed book aimed at children and allows families to talk about breastfeeding and the wonderful bonds that are forged as babies feed on demand for comfort and nourishment. The illustrations were created by Jessica D'Alton Goode who observed Ellie and her daughter Hope as they fed in different places and situations, and they depict beautifully the realities of breastfeeding once it is established. 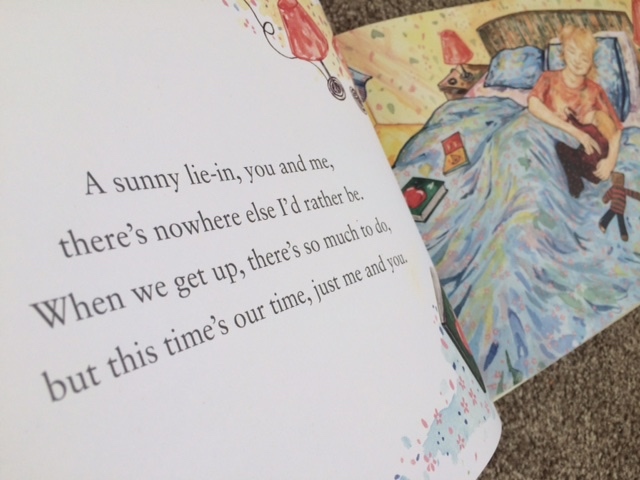 One page in particular brought a lump to my throat and turned my thoughts back to the early difficult days of expressing and struggling to teach Natty to feed whilst in the Neonatal Intensive Care Unit. She got there in the end and I do believe it helped her gain the strength she so need at that time. You were so sick when you arrived. your Mama's milk has made you strong." 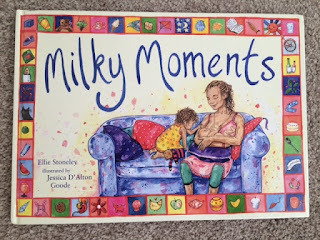 Milky Moments is available here from Amazon priced £11.99 or via Pinter and Martin. Down's Syndrome, Down Syndrome, support, parenting Ellie Stonely Gradwell, Home education, hope, Milky Moments, Ross Mountney, Who's Not in School?